The ability to “manage” patients’ satisfaction with their care in the treatment of localized prostate cancer is challenging — for patients, for caregivers, for physicians, and for health systems. While we all talk about “patient-centric” care and “personalized” medicine, actually being able to assure that each prostate cancer patient is offered and (when appropriate) given the “best” form of treatment for him is hard — especially when one understands that some patients may be appropriate candidates for as many as a dozen different forms of treatment today. A new paper by Jayadevappa et al. in the Journal of Clinical Oncology has now reported on data from a 2-year follow-up of > 700 patients with localized prostate cancer treated in a randomized, controlled, clinical trial at three centers in Philadelphia between January 2014 and March 2015. There is another summary of this paper on the MedPageToday web site. Men in Group A were asked to complete a web-based tool called PreProCare that was designed to elicit their individual preferences respecting their treatment, that took about 30 minutes to complete, and then to share and discuss the results with their health care provider. 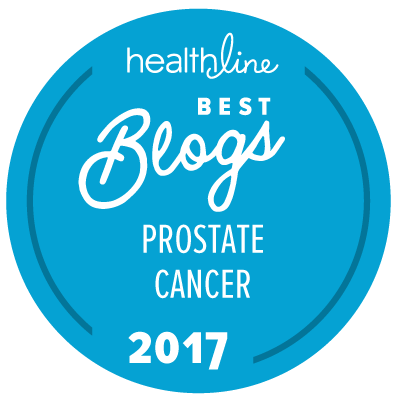 Men in Group B “received usual care consisting of standard educational material” about prostate cancer and its treatment. There were multiple treatment options available, including: active surveillance; open radical prostatectomy; robot-assisted laparoscopic radical prostatectomy; intensity-modulated radiation therapy; brachytherapy; and proton beam therapy. The primary outcome of this trial was patient satisfaction with their care at 24 months. Secondary outcomes included satisfaction with treatment decisions; decision regret; and treatment choice. 372 were randomly assigned to Group A (and completed the PreProCare program). 371 were randomly assigned to Group B (“usual care”). The average (mean) age of the patients was 63.7 years. 137/230 low-risk patients were initially managed on active surveillance. 74/230 low-risk patients elected to have some form of surgery. 19/230 low-risk patients elected to have some form of radiation therapy. 29/229 intermediate-risk patients were initially managed on active surveillance. 149/229 intermediate-risk patients elected to have some form of surgery. 13/215 high-risk patients were initially managed on active surveillance. 152/215 high-risk patients elected to have some form of surgery. 50/215 high-risk patients elected to have some forms of radiation therapy. A baseline satisfaction score of 3.96 (compared to a maximum possible score of 5). An increase in their satisfaction score of 0.44 compared to baseline at 24 months. An increase in their satisfaction score of 0.07 compared to baseline at 24 months. The difference in the satisfaction scores between the two groups at 24 months was statistically significant (P < 0.001). Comparable benefits from completion of the PreProCare program are evident in all subset data. As far as either we or the authors are aware, this does seem to be the first time anyone has conducted a randomized trial of this type with the goal of assessing whether a particular type of educational process or decision aid could help prostate cancer patients to determine what the best type of treatment was “for them” together with discussion with their physicians. … improved satisfaction with care, satisfaction with decision, reduced regrets, and aligned treatment choice with risk category. What will be important will be to see whether tools like this (and others have developed similar tools) can consistently improve patients’ satisfaction with their care across a broader and more diverse patient audience. Editorial note: We thank Dr. Ravishankar Jayadevappa of the University of Pennsylvania for providing us with a full text copy of this article for our review.